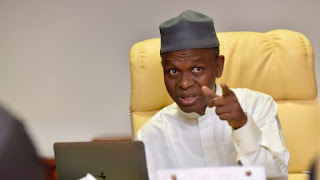 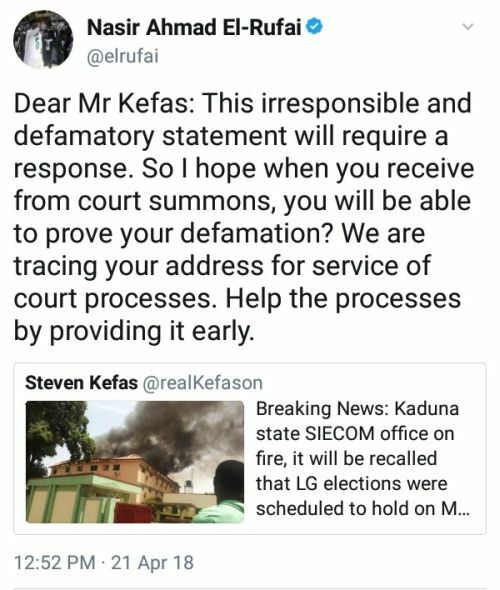 Governor El-rufai of Kaduna state has threatened to sue a Twitter user Kefas who accused him of masterminding the burning of Kaduna state SIECOM office because of LG election. 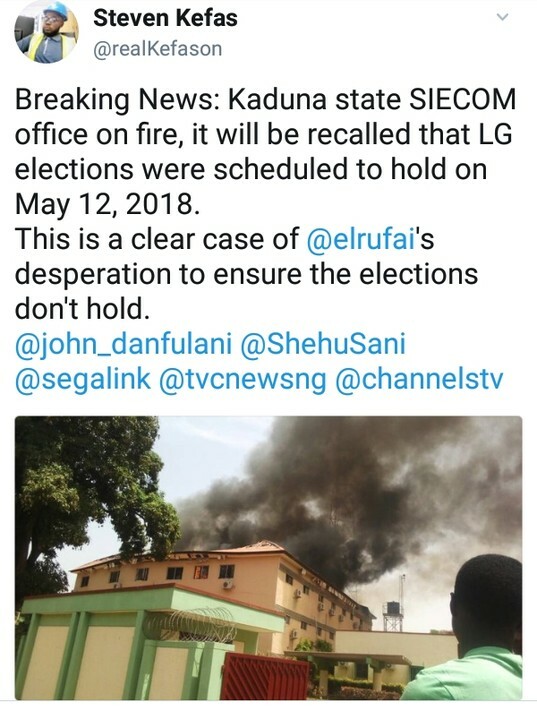 ‘Breaking News: Kaduna state SIECOM office on fire, it will be recalled that LG elections were scheduled to hold on May 12, 2018. This is a clear case of elrufai’s desperation to ensure the elections don’t hold’.